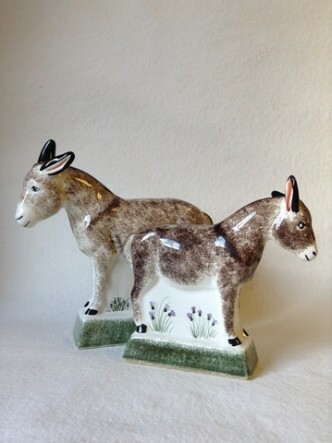 We call them our Beach Donkey & our Little Donkey. 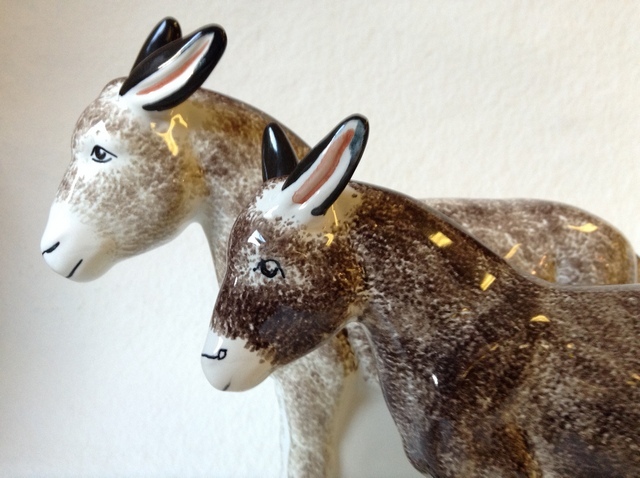 Popular with horse, donkey and beach lovers alike, these are an ever popular figure for us. They also fit well with our Ceramic Nativity, featuring Mary, Joseph & Child. Painted with a unique Brown that we blend in-house here at Rye Pottery, these Donkeys are lovingly sponged by hand with charming faces added by paintbrush. The base is worth a look too, with delicate thistles nestling at the bottom. Modelled originally for us by sculptor and ceramicist Tony Bennett.